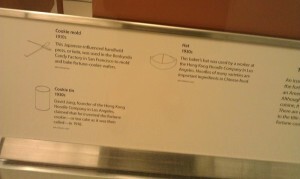 My research is now part of the Smithsonian’s permanent collection. 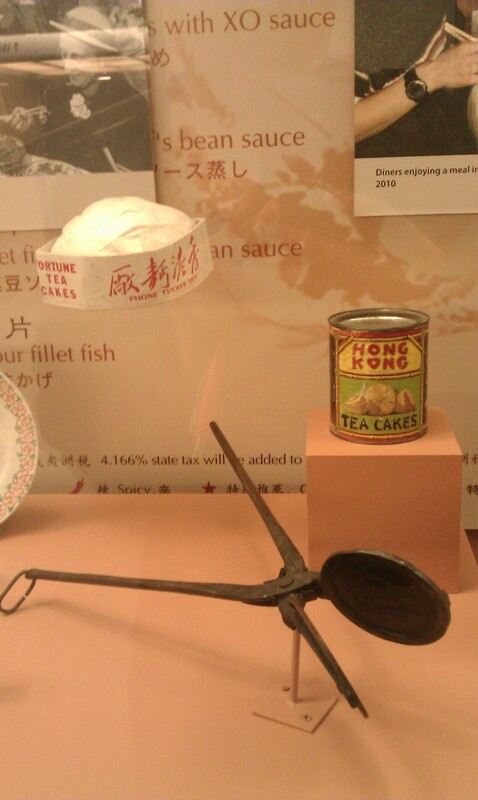 The kata grills from Gary Ono, which were used to make superearly fortune cookies in the Japanese Tea Garden in the San Francisco Golden Gate Park. What could be the oldest American fortune cookies still in existence (50 years old! 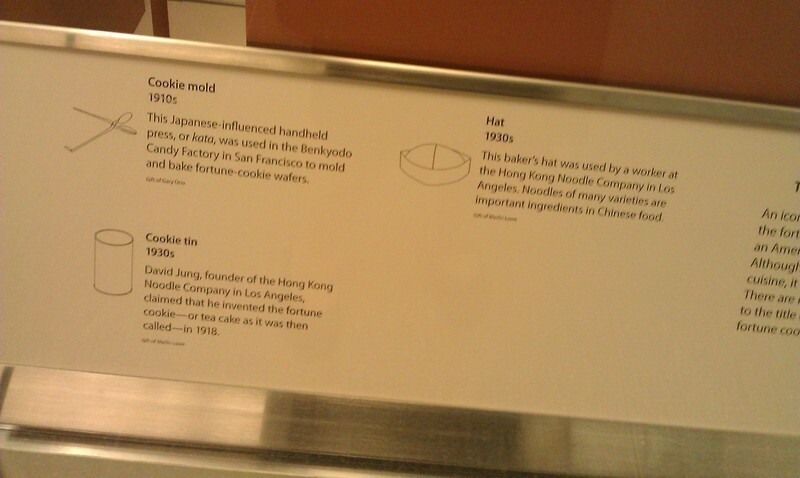 ), an unopened can of “fortune tea cakes” from Hong Kong Noodle in Los Angeles, donated by Merlin Lowe, and a hat to go with it. Here is the little museumy write up that went below it, that makes it superreal.